Most people have heard the saying, “You are what you eat”. Well, so is your dog. 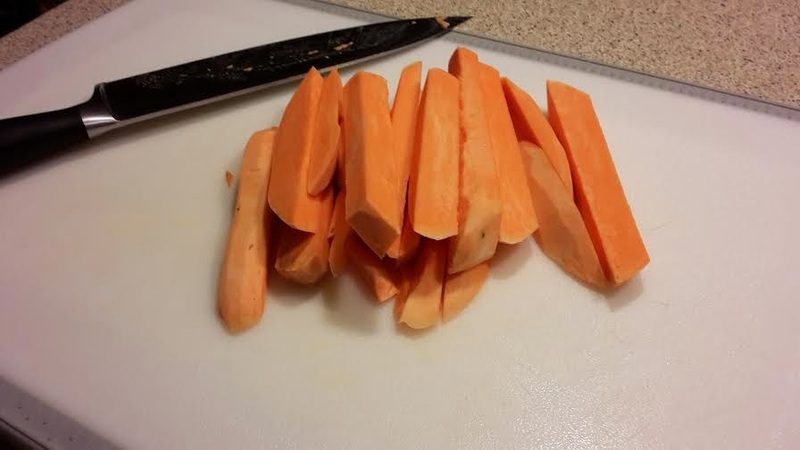 Below, you will find a sweet potato jerky treat recipes for your dog (and for you too, if you feel so inclined!). 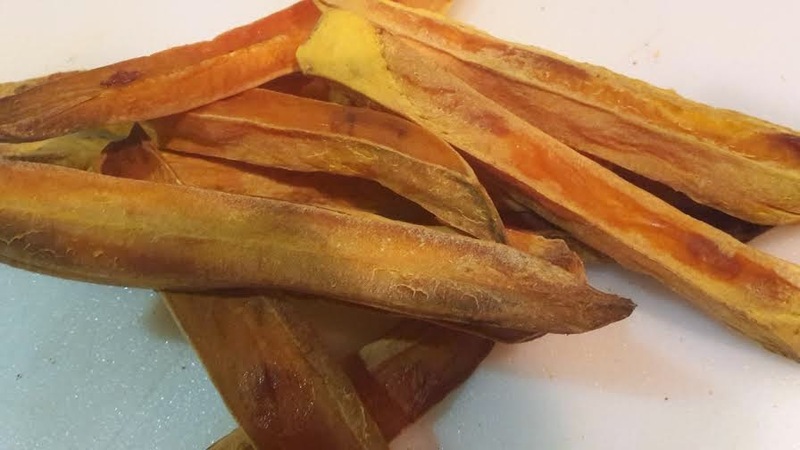 1 sweet potato will make about 20 treats. These treats should be stored in the fridge and will have a shelf life of 2 weeks. If the treats last that long! Once these jerky recipes are complete and cooled, you can cut them into desired treat size. Remember proper storage will insure maximum shelf life for your homemade treats. 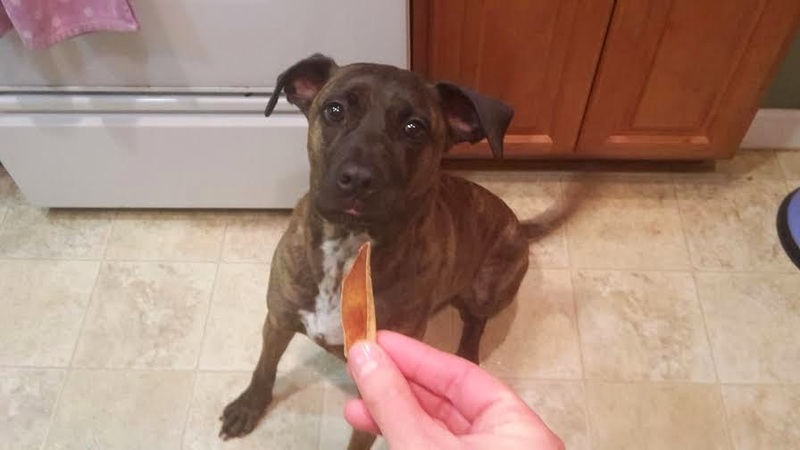 Duke asking for a delicious sweet potato treat. Yellow ribbons symbolize anything from military support to suicide awareness. 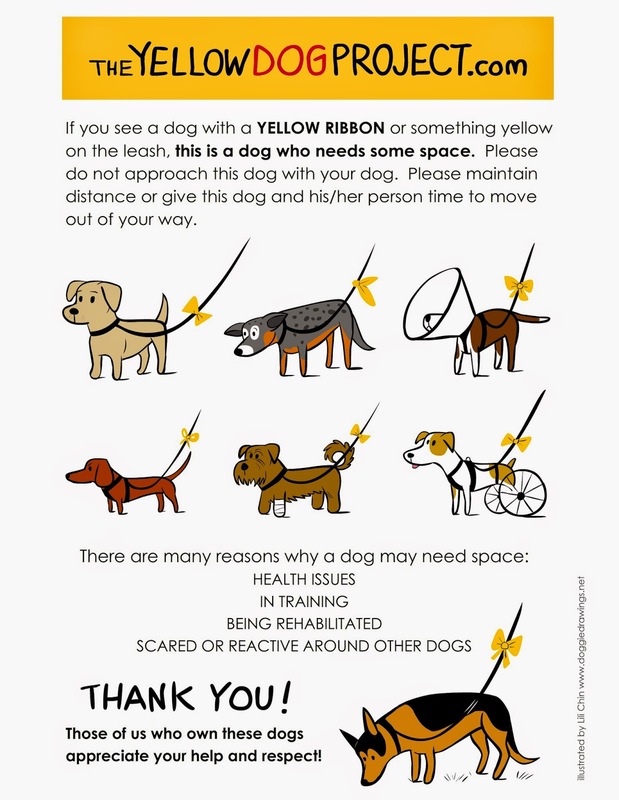 Did you also know that a yellow ribbon tied around a dogs leash or collar also has a purpose? These yellow ribbons simply mean a dog needs special consideration and space. A dog could be uneasy in new situations or recovering from a surgery, to a number of other reasons. As the Yellow Dog Project’s website clearly explains these ribbons are not an excuse to avoid proper training, an admittance of guilt, a confession, or a waiver of responsibility. For further information on this initiative you can visit the Yellow Dog Project’s website or their Facebook page. Welcome to DeBoer Dog Blog! Welcome to my new blog. My name is Sharon DeBoer. I am the owner of DeBoer DogBoarding, and a trainer with K9 Specialist. I started DeBoer Dog Boarding in 2012, and have been training with K9 Specialist since 2010. The purpose of this blog is to provide fun and useful information about dog ownership as well as share amazing dog stories. 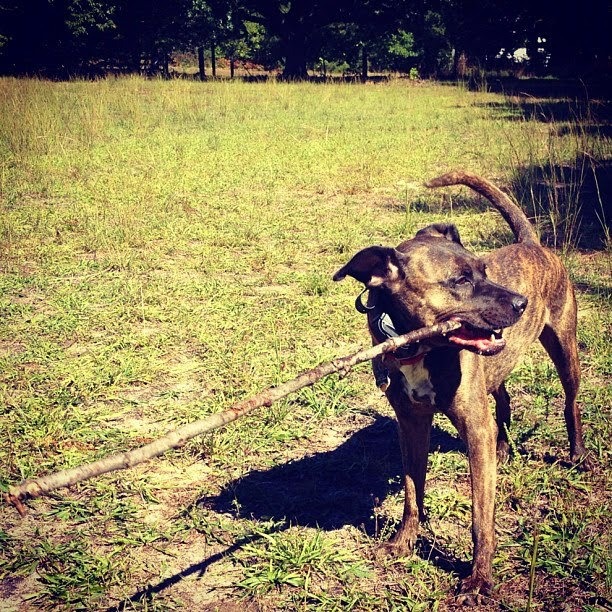 So, for my first blog post I will share with you the story of my dog Duke. He is the reason I am who I am today. 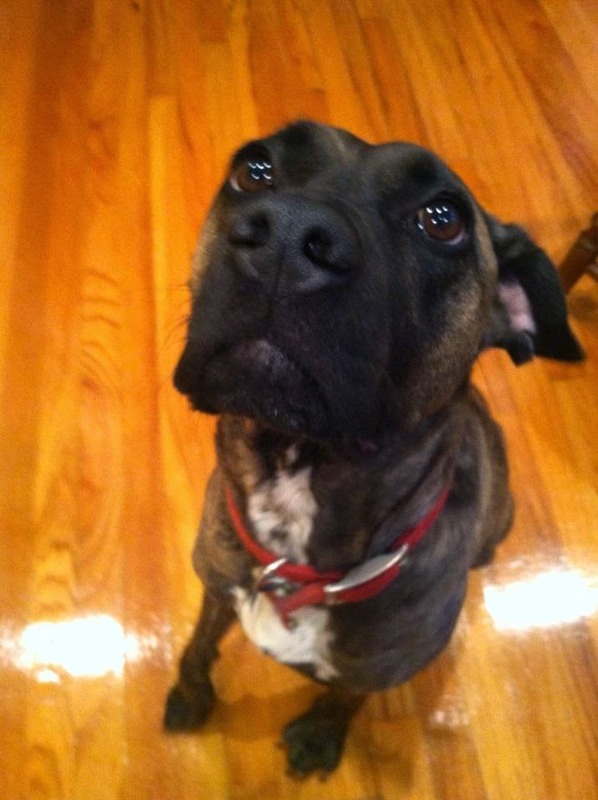 In February of 2009, my then boyfriend (now husband) adopted an adorable pit mix from our local humane society. I had insisted for months that his home needed a dog, and he finally agreed. As we checked out the many dogs needing good homes, one dog bouncing vigorously in his cage caught our eye. We spent some time visiting with this dog and decided we would adopt him. In retrospect, the staff either thought we were completely crazy, extremely compassionate or a little of both. This dog full of energy could not stop wagging his tail and had developed "happy tail" during his time in the shelter. (Happy tail happens when the tip of the dog's tail breaks open, becomes calloused and bleeds.) This little guy's happy tail had bled all over in the visitation room and on us. It had looked like a minor scene from a horror movie, but he needed a home. We decided that we would give that to him. 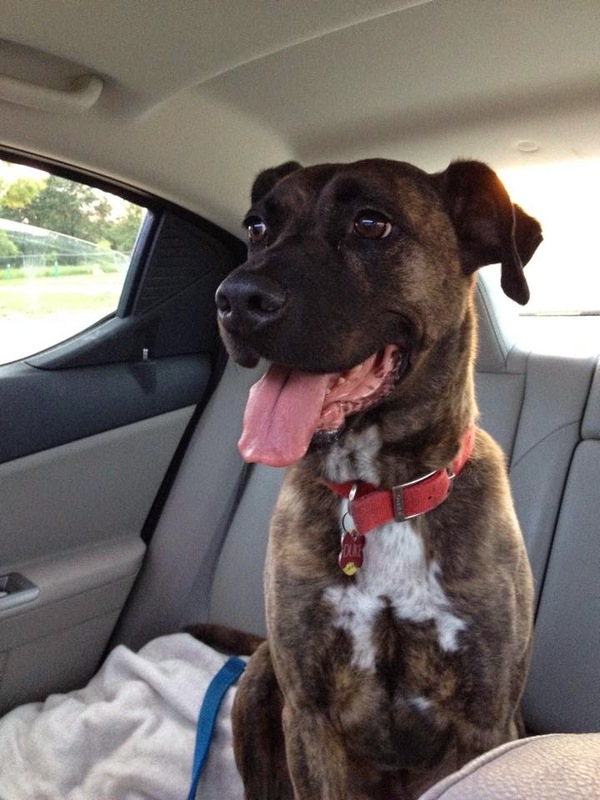 After going through the adoption process, the local humane society informed us of a behavioral trainer in the area that was great with pit bulls. After having Duke home for around a month, it was evident that we needed help controlling this dog. We called Al at K9 Specialist and the rest, as they say, is history.